Home gym maybe an expensive venture but can be a solution for those who cannot workout in a regular one. Although you don’t have to create a full fledged gym in your house you can definitely invest into some equipment that will give you numerous exercise options that might give you the results you could get in a regular gym. It all depends on your dedication and desire to work not so much on the equipment, although the latter wouldn’t hurt. So if you’re strapped for funds and space in your house buying expensive, often single purpose machines wouldn’t be wise. Here some tools you might need for basic exercises and bodyweight training. 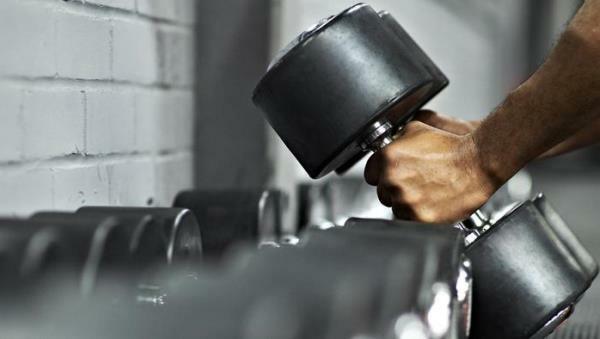 Squats, deadlifts, step ups, flys, presses, rows, and lunges can all be done using dumbbells. They are easier to store and they come in a set of different weight sizes, which is great for gradual progression. They are also not very expensive, which makes them arguably the most universal weight lifting equipment, at least for home where space is scarce and discreet storage is required. Now this is a great cardio equipment that doesn’t clog your house. And besides you can run outdoors or you can invest in a bicycle that you can use outside the house as means of transportation all the while cutting on gas bills (if you like this type of cardio). Jump rope is cheap and makes for a powerful calorie burner. If you’re into bodyweight training TRX is a great tool that can widen your exercise options. You can mount it almost anywhere and enjoy the multitude of exercise variants you can get out of it. Swiss ball may seem like not much but you can do a variaty of ab moves with it. You can use it to train glutes and you can also relieve some back strain with it especially if you’re sitting all day or you’re pregnant. What is your favorite gym equipment for home workouts? This entry was posted in News and tagged bodyweight training, dumbbells, strength training. Bookmark the permalink.